Peter was born in London but grew up in South Africa and has been a professional chef for the past 30 years. He was classically trained at the Beverly Hills Hotel in Umhlanga Rocks and later returned to London. For nine years he worked for a number of the capital’s top chefs in some of the West End’s award winning restaurants, before being enticed back to South Africa to help open the La Couronne Hotel & Winery, now known Mont Rochelle, in Franschhoek which was named as one of the fifty most exciting restaurants in the world by Conde Nast Traveller. Peter then embarked on his own venture – PGW eat in 2001. Peter’s work as food alchemist, consultant and events coordinator has taken him from the banks of the Chobe River in Namibia to Bangkok, Hanoi and Sydney and to as far afield as Oman in the Persian Gulf. He has also cooked for South African embassies and other clients in Paris, Budapest, Stuttgart, Istanbul, Zagreb, Moscow & London. Peter has had a hand in the development of some of the Cape’s top-notch restaurants including Blues, 95 Keerom Str, Balducci’s & Salt as well as consulting for an international hotel group in Zimbabwe. He launched the Kitchen Cowboys cooking workshops in 2003 in Cape Town. Peter was food editor for GQ magazine for eight years and has made freelance contributions to Food & Home magazine, Hospitality and Gourmet Traveller. He was a monthly columnist Pick n Pay’s Fresh Living magazine and regular contributor to Men’s Health. He is author of 3 cookbooks – A Life Digested, Kitchen Cowboys and Blues Restaurant – the essence of Cape Town. Peter’s team was placed 12th at the World BBQ Championships in 2001 and was runner up in 2002 & 2003 at the South African BBQ Championships. His Kitchen Cowboy team also won the Knysna Oyster Challenge in 2003 & 2004. He won the South African leg of the Global Pizza Challenge in 2011 and represented SA in Sydney in 2012 at the international finals of the Global Pizza Challenge where he won 1st place in the Dessert Pizza Category. He is currently on the judging panel for the Diners Club 50 Best Restaurants in the World. 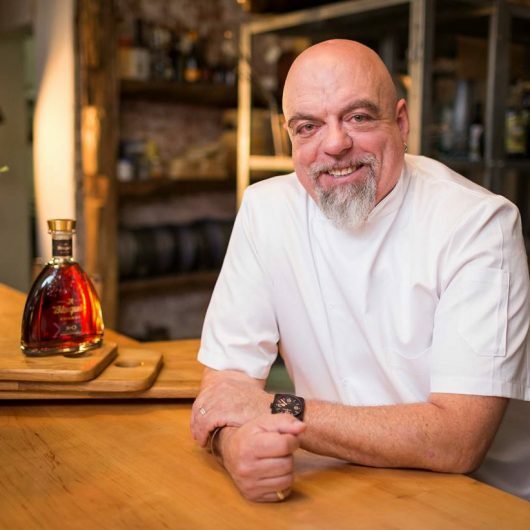 He is a judge for the World Class Cocktail Competition as well as the National Steakhouse Championship and was on the Eat Out & Eat In panel of judges for the SA ‘s top restaurateurs and food producers for 5 years. Peter has appeared with the legendary Phil Ligget on a Super Cycling cooking series as well as a yearlong slot as the Healthy Chef for Super Sport’s weekly lifestyle programme “Activate” on DSTV in 2004. He featured alongside Ainsley Harriot on BBC Food’s Off the Menu, was on SABC 2’s Ready Steady Cook and has regularly appeared on Expresso, Top Billing and Pasella.